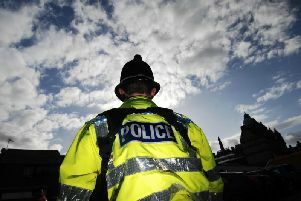 Lancashire Police has received a good rating for keeping people safe and preventing crime. The force was inspected by HMIC and received a good rating in all areas, apart from protecting vulnerable people, which the force was told to improve. The inspectors concluded: “We found that Lancashire Constabulary remains committed to keeping people safe and protecting vulnerable people. It is making good progress in developing its processes and structures to support this commitment. Nationally 12 forces were rated as requiring improvement. - 376 calls for assistance per 1,000 head of the population between June 2016 and June 2017, higher than the national average of 282 per 1,000 people. - 2% fall in reports of anti-social behaviour, although total incidents of anti-social behaviour remain higher than the national average. - 12% increase in recorded crime between June 2016 and June 2017. - 10% of reports of a crime that end in a charge or summons. Of the other 90 per cent, it was recorded that 11 per cent were dropped because of a lack of evidence or a victim who did not wish to proceed and 53 per cent ended with no suspect being identified. - 75 crimes (excluding fraud which is counted separately) recorded per 1,000 head of the population between June 2016 and June 2017. - 10% of all reports of crime (excluding fraud) related to domestic violence, fractionally lower than the national average. - 117 organised crime groups per one million of the population. This is more than double the national average – which is 47 – although Lancashire Police has previously said this is partly due to the county’s location and the number of people passing through.